Winning a Start Smart Scholarship meant that Daniel Kelly could move from Hastings to study teaching at the Faculty of Education and Social work at the University of Auckland without the burden of financial pressure. 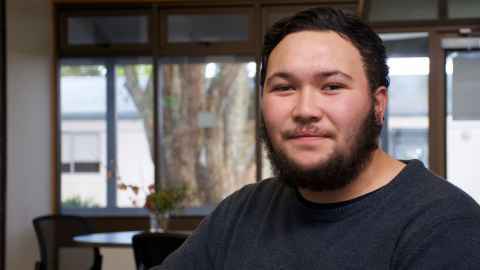 A month or so later an email came back with the exciting news that he’d been awarded the scholarship – a City of Sails Start Smart for students from outside of Auckland, giving him $5,000. “I really loved seeing my parents’ faces. It makes them proud, and it makes me proud – it’s very special and I feel privileged. It’s awesome. It swayed me to come to the University of Auckland. He’s really happy he chose to study Bachelor of Education (Teaching) Primary specialisation programme at Epsom. “I really love the faculty. It feels like home. It’s a really relaxed vibe. There’s heaps of support – there’s all kinds of services.